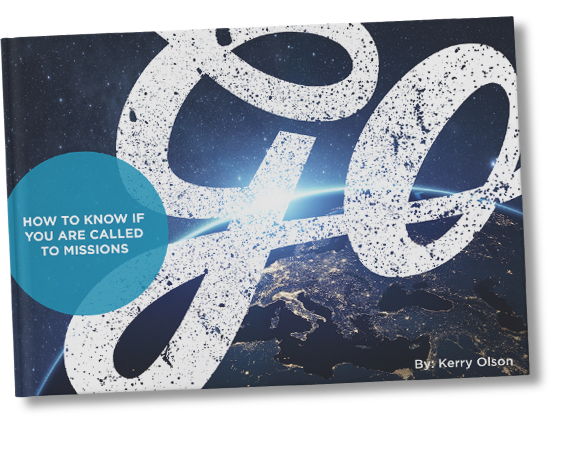 Home » Posts Page » Blog » Missionary Guidance » Should Missionaries Ask for Money or Live by Faith? This topic is often avoided up until the last second because no one wants to talk about it. Nearly all missionaries find asking for money a daunting task and a little overwhelming. This forms a two-sided debate on whether or not missionaries should ask for money. These are not uncommon questions for missionaries to ask. Fundraising takes a lot of time and effort, and no one wants to be rejected or refused when they put themselves out there. Others try to live by faith while trusting that God will provide for them in their times of need. There are many people in the Bible and throughout missionary history who trusted in God to provide not only for their financial needs but their physical needs as well. Throughout this blog, we’ll take a look at some of their stories and discover which method is Biblical. Some missionaries base their financial foundations on living by faith only but do not spend time seeking after God in prayer and asking (James 4:2b-3). These testimonies are not only of men living by faith but men who were both friends of God, standing before the throne room with confidence, knowing that He heard their prayers. Abraham was a man who lived by faith and it was counted to him as righteousness (Genesis 15:6; Romans 4; Hebrews 11). When God asked Abraham to sacrifice his son, Isaac, Abraham was distraught, but nonetheless, he obeyed God. God saw his obedience, just as Abraham was about to kill his son, and provided a ram to be the sacrifice because of Abraham’s faith (Genesis 22:8, 13-14). George Müller was also a man who lived by faith, and God’s faithfulness was shown clearly throughout his life. He built an orphanage for over two thousand orphans in Bristol, UK. When they had no money or food for the orphanages, he prayed, and God provided. By trusting in God, you could have amazing testimonies of faith and be able to share the gospel with people in a much more effective way. Living by faith will not only stretch you in ways you can’t imagine but asking in faith will produce even greater testimonies of God’s faithfulness in answering prayer. Isn’t Asking for Money a Little Blunt? Many missionaries dread fundraising because they think that they are becoming a hindrance to people and that their friends will think that they’ll always be asking for money. But you actually need support. Without people backing you up in prayer and finances, you will come off the field burnt out and ready to give up on your ministry. You’re not only trusting God to provide through these people, but you are inviting people to enter into God’s heart for missions. Check out our blog on how-to write effective newsletters for missions here. Asking for money is a great step of faith. The friends you have, the family that surrounds you, the neighbors on your street, are all resources that God has provided and put in your path so that you can go and fulfill His calling that He’s placed over your life. Many missionaries in the 1800s believed that they had to work and earn their living by a trade and then took that with them into the country they were going to be missionaries in. Others, such as Paul in the Bible, and John Williams, used their skills in a trade to provide an income and also partnered with believers to continue their ministry. In the context of these verses, Paul is asking the believers in Corinth if it’s wrong to reap what he sowed among them. Paul is also challenging them in their thinking about material things and finances. He reminds them that God does care for all people and that He provides for their needs through the resources He’s already given them. Paul had invested into many of the believers of the early church and was one of God’s first missionaries full of the Holy Spirit in the New Testament. He always wrote back to the believers, telling them stories of God’s faithfulness through their giving of prayers and support. While still walking in faith for God to continue his ministry, he worked with his skills as a tentmaker or leatherworker (Acts 18:1-3), so that he could continue traveling and visiting the churches. He was also being supported by the churches, especially the Philippians (Philippians 1:3–5; 4:15-18). Paul did everything he could to not become a burden to others (2 Corinthians 11:8–9) so that he was able to continue freely in his preaching of the gospel. He always thanked his fellow brothers for the blessings they sent, and for walking alongside him in the work God was doing (1 Corinthians 1:4-9; 2 Corinthians 9:1-15; Colossians 1:3-14; 2 Thessalonians 1:3-4), encouraging them to continue trusting in the Lord. John Williams was a missionary in the South Pacific Islands who saw the need for having partners and support from people back home. He was anxious to continue his work in other people groups in neighboring islands, but the missions agency that sent him did not agree. After combatting back and forth, the missionary agency finally agreed, and John William’s ministry became much more fruitful as he was able to go to surrounding islands and preach the gospel to even more people. John Williams was skilled as an ironworker and a mechanic, and he built his own boat with the help of local natives and the finances sent from London. He also learned how to grow crops and live off the lands to help provide for his family. While he worked with the natives and shared the gospel with them, he translated the New Testament into Rarotongan and then taught the native believers how to disciple others in their community. The people became his partners in ministry. Having partners are a blessing from the Lord. The people who support you will become partners of something much bigger than your own ministry. Not only are they becoming part of God’s plan to reach the nations, but they will enable you to bring the gospel to people groups who can become partners of the gospel in the future. How amazing is that? You are not failing God when you ask someone to help you. God may have put that person to help you, and you can trust that He is always providing ways for you to go on the mission field when He’s called you there. You can step out in faith through prayer (James 1:22-2:14-26), and rely on God by using the resources He’s given you to be a good steward of (Matthew 25:14-30). In fact, you are called to live by faith and ask for money. It’s really your heart motive that God cares about. God wants you to trust Him. Though fundraising may seem like a daunting task, it isn’t something that you should be afraid of. Instead, you can rejoice that God is giving you this opportunity to partner together with believers through faith in finances. At Bethany Global University, all of our students are trained on how to build partnerships to raise both financial and spiritual support. Each student goes through a class called Partnership Development to gain a solid foundation of fundraising from a Biblical perspective as well as a systematic approach that has been proven to work over and over again. In fact, 100% of BGU students who work through the partnership development process has become fully funded to do the work God has called them to. In addition to the training, each student is also assigned a personal coach to help them through the process. This is how BGU students are training to sustain themselves overseas and it is working remarkably well. Check out this video below, as Rob Parker shares a little on what faith in partnership looks like, and how as missionaries we shouldn’t be scared to fundraise for missions.